The 2019 6 Nations Tournament promises to be a huge spectacle. From the sizzling Millennium Stadium to the legendary Twickenham, passing through the Aviva Stadium in Dublin, go on a true pilgrimage across Rugby’s Europe. On the programme, great sports memories, matches, pints of Guinness, unforgettable chants, real emotion and laughter! 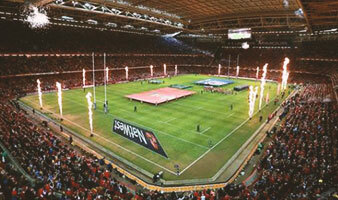 For all the 6 nations matches, we propose packages with 100% guaranteed, 100% official tickets ! 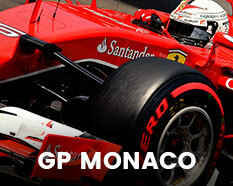 From now, discover our packages! 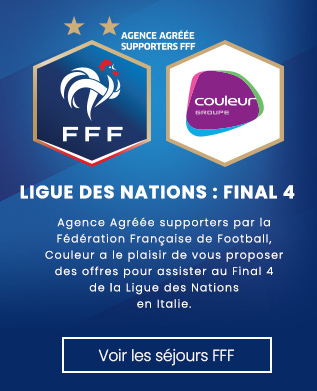 Couleur, the ONLY OFFICIAL AGENCY for FFR SUPPORTERS. 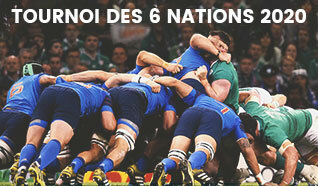 There’s a long-running amorous history between Couleur and the 6 Nations Tournament. For over 20 years, we have been proposing packages adapted to your needs, with over 5000 travellers each ear, we can boast about having democratised travel for the 6 nations tournament. From now, discover our packages. Flights, transfers, accommodation, and of course, the 100% official ticket, Couleur has it all covered! 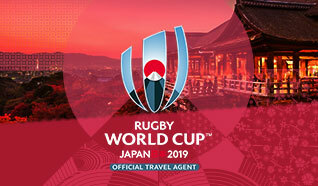 For the France XV’s match overseas, Couleur proposes 3-day/2-night vacations with a direct flight, transfers, accommodation in the city centre, a 100% official ticket and multiple tourism offers to let you discover the cities of the Tournament. 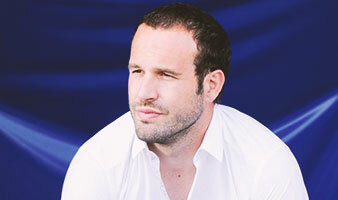 Discover our VIP vacations and enjoy the Tournament in the most luxurious conditions. 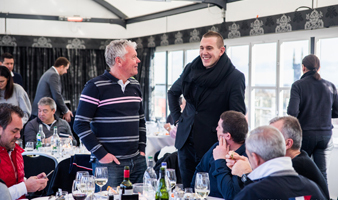 Dedicated guides, the opportunity to meet our ambassadors, fine dining, VIP hospitality in the heart of the stadium… Couleur offers the best of the 6 nations. 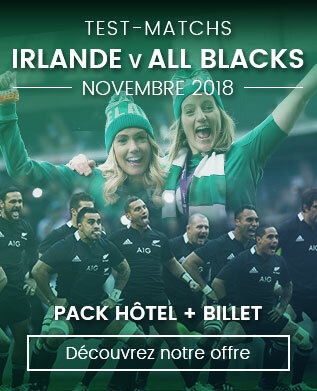 Attend a Celtic derby between the Irish and the Welsh, experience a clash between the Thistle XV and its old English enemy… for all this an more, Couleur will be your privileged partner and offers 2 night vacations on-site with official tickets and transport options. 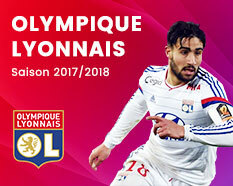 Couleur, the ONLY OFFICIAL AGENCY FOR SUPPORTERS of the French Rugby Federation (FFR), exclusively proposes packages including a 100% guaranteed, 100% official tickets to the Stade de France. We’ve curated our ideal Rugby packages, festive and convivial! 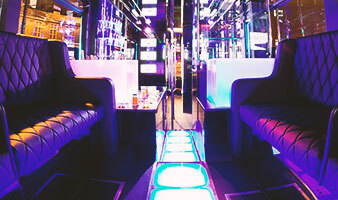 Climb on board of our Party bus and it’s all go for a celebration, rolling along the streets of the capital. On board, an open bar, a DJ, a country-style buffet... 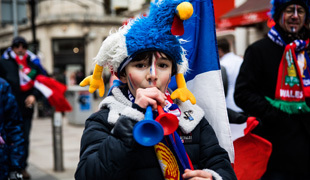 Arriving at the Stade the France, you’ll be geared up to sing la Marseillaise. 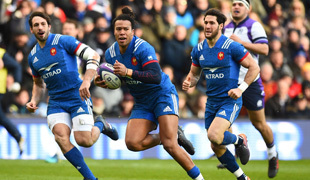 Treat yourself to a Rugby weekend in Paris for this 2019 6 Nations Tournament. 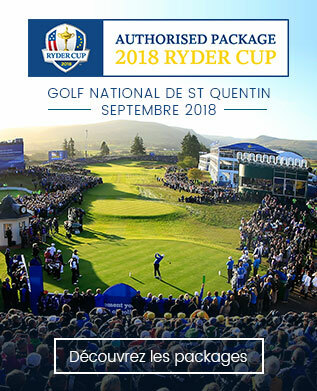 We propose packages with official tickets to the Stade de France and accommodation in the city-centre to (re)discover France’s beautiful capital. 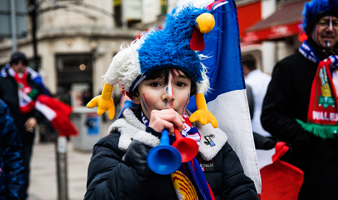 For all of France XV’s matches in Paris, Couleur will be found steps away from the Stade de France at the Emaillerie restaurant which proposes its Blue Bodega in a festive atmosphere – the purest rugby tradition. Look no further! We’ve found the perfect pre-game venue. For all of France XV’s matches in Paris, Couleur Events is pleased to host you in the official reception site of the FFR, the Village, which is located in the heart of the Stade de France. 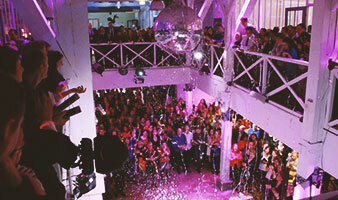 The ideal location for your PR events. Committees, rugby teams, supporters’ clubs, student clubs, friend groups, this BUS + RUGBY TICKET package is for you! We propose packages which are adapted and affordable, including bus transport from your town and 100% guaranteed, 100% official stadium tickets. 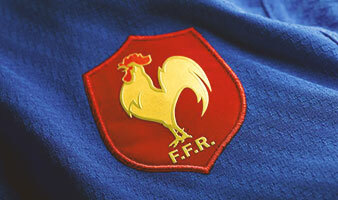 Sign up now and be the first to receive our offers for the upcoming 6 Nations Tournament. Sign up now and be the first to receive our offers for the 6 Nations Tournament 2020.